Chandlers Bay offers 1, 2 & 3 bedroom apartments. Please select a unit that you like, fill out your name, number, and email, and you will be redirected to our quick and convenient online application. Not seeing what you're looking for? Availability changes every day, if you tell us what your needs are we’ll call you when availability changes. All room dimensions are approximate and may vary by apartment. Discover the ideal layout for your lifestyle at Chandlers Bay. Choose from 1, 2 & 3 bedroom floor plans for rent, each with a stunning view overlooking the pond or wooded grounds. One bedroom apartments are sized at 600, 770, and 900 square feet, while two bedroom apartments start at 1,043 square feet. A spacious three bedroom option comes in at 1,301 square feet. Your in-home washer and dryer and well-equipped kitchen keep chore time to a minimum, while ceiling fans and a wood-burning fireplace help create the perfect atmosphere year-round. 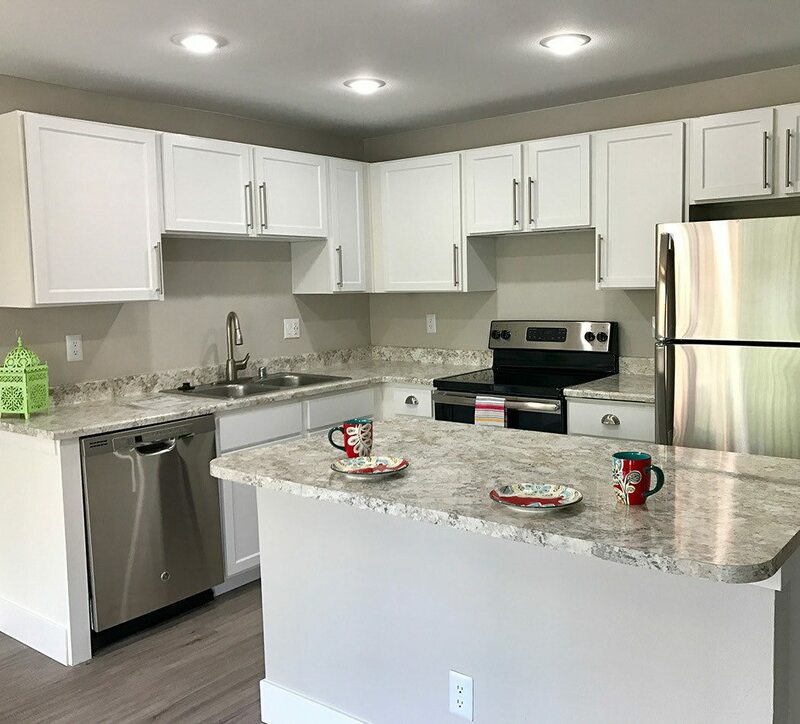 You’ll enjoy all the space you deserve in your Kent, WA, apartment home with high ceilings, large closets, and additional storage for all your gear. Rich-looking wood-style flooring provides the perfect foundation for your personal style – and is easy to care for. Apartments are also cable ready. Enjoy a good book or a marathon run of your favorite TV program in front of the fire, or bring a glass of your favorite beverage to your private patio and take in nature’s show. Schedule your personal tour of Chandlers Bay to explore spacious apartment living near Seattle, Washington.